Yummy Teriyaki Ginger Chicken Wings made in the Instant Pot were a huge success! 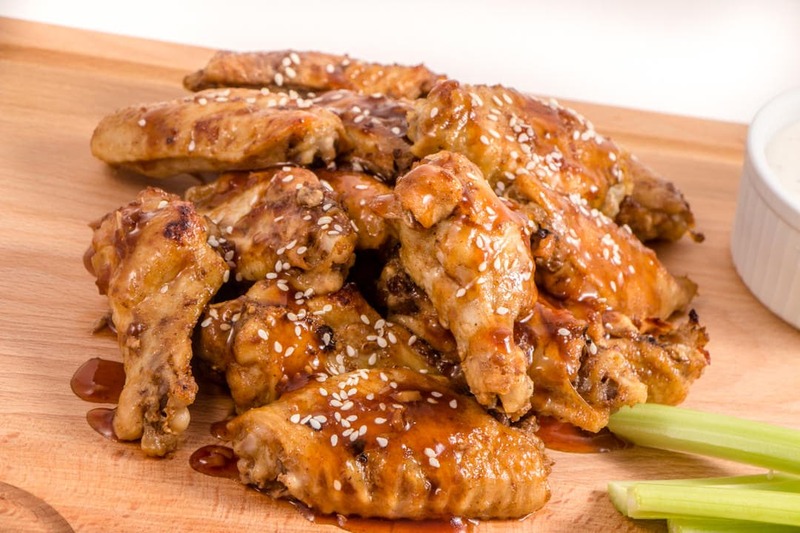 Kikkoman Teriyaki Sauces are wonderful and make cooking dinner a breeze. But really folks, we can’t always make everything from scratch. We don’t always have the time to marinate and baste all day long. We just don’t live in the 40’s or 50’s. 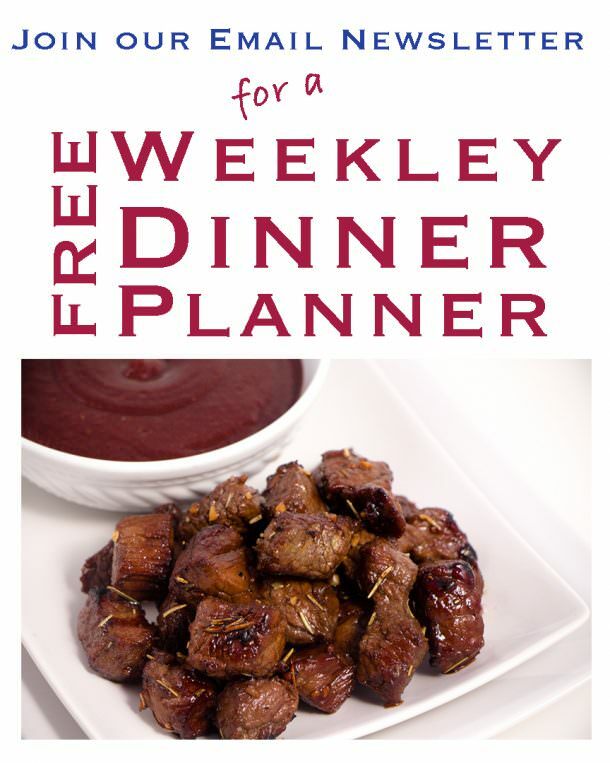 So let’s use what we have to make sure we have delicious meals and make memories around the table, right? Well Kikkoman doesn’t disappoint with it comes to their Teriyaki Sauces. This is a sponsored post. However, the views and opinions are mine. 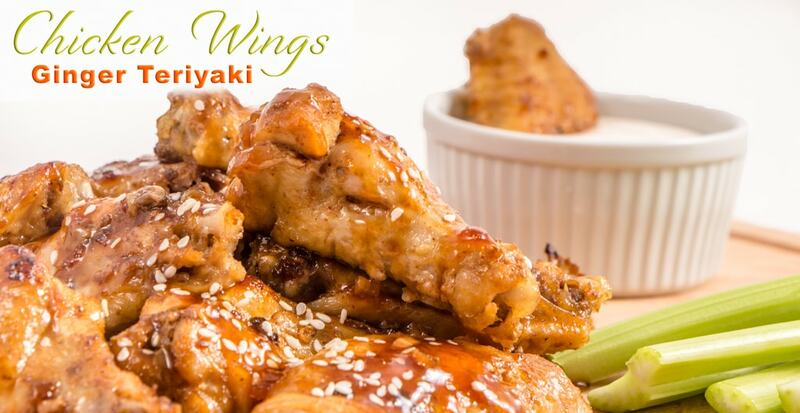 Rest assured that these Teriyaki Ginger Chicken Wings were devoured. They were fall off the bone scrumptious and I was thrilled with how easy I was able to put this meal on the table. Instant Pots are a huge rage right now, they are trending like crazy. Unfortunately there is a learning curve that comes with these new appliances. I’m here to help you pass with those failures so you can bring dinner to the table, a dinner where they will come back asking for more. I purchased a 4lb bag of frozen chicken wings. I let them thaw on my counter for about as long as it took me to unload my groceries. This made it so I could break them apart and they were not one large clump of chicken wing. haha…These babies were still frozen to say the least. Regardless, I threw them into my instant pot with the trivet. I added 1 cup of water to the bottom and for kicks and giggles I showered them with salt and pepper, because…well…it makes me feel good to add some seasonings. Then I set my Instant Pot to Manual and 12 minutes. Keep in mind these were frozen. If they were thawed, I would have cooked them for about 8 minutes. Then I did a NR (Natural Release) for 10 minutes and QR (Quick Release) for the rest. They looked good but I wasn’t done yet. I moved the wings to a large cookie sheet with a wire rack and placed each wing side by side. Then I brushed on the Kikkoman Teriyaki Ginger Sauce and threw these bad boys into the oven on broil for about 5 minutes. Please note that I lower the rack in my oven to the 2nd level down. This allows for a nice slow broil without burning the wings. My recipe told me that once is enough, however I’ve learned to follow my gut. So after 5 minutes I pulled them out and basted these wings again with sauce and threw them back into the oven. I just prefer to get that caramel goodness of the sauce as it cooks under the broiler to make them so delicious and a little crispy. 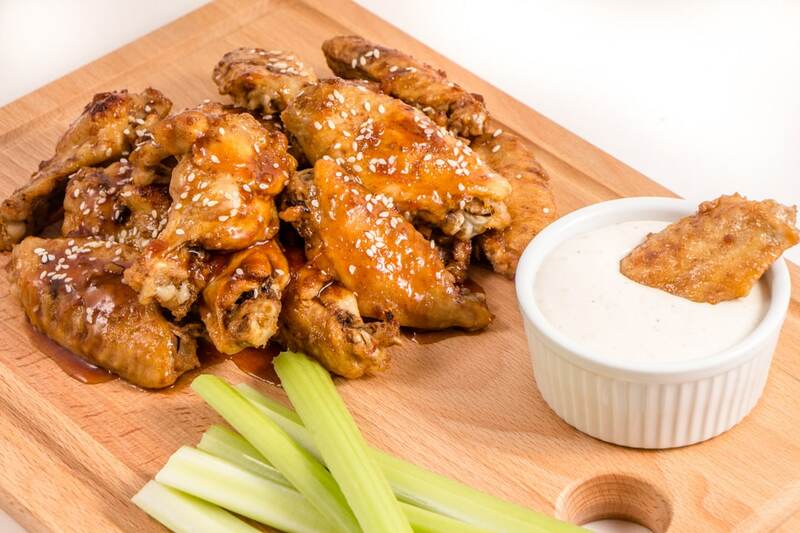 Wings are finger food. So just enjoy the mess and get right into these wings. We love to serve these Appetizer Family Style. A Big ‘ol plate of them and let everyone just enjoy. 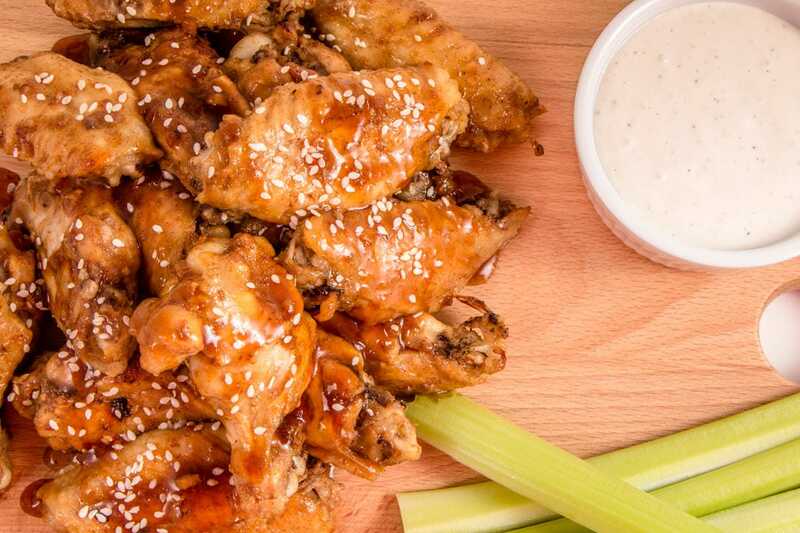 Don’t forget that Ranch Dressing is delicious regardless of the sauce on wings. It’s just tradition! We have had the most fun with meals like this one where we can just be in the moment, laughing and talking. In a bowl sprinkle season salt over wings and toss to coat. 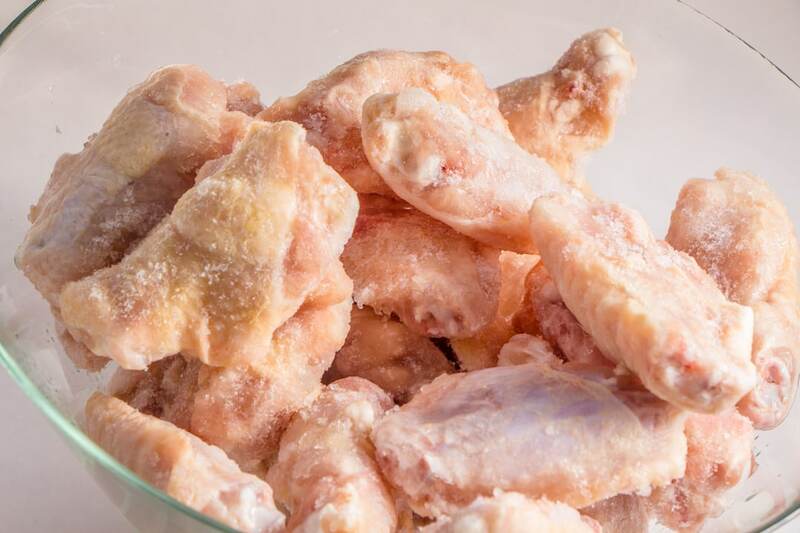 Place frozen chicken wings in Instant Pot on trivet and pour 1 cup of water on the bottom. Salt and Pepper frozen Chicken Wings as desired. Set Instant Pot to Manual for 12 minutes for frozen chicken wings. 8 Minutes for thawed Chicken Wings. Instant Pot will take about 10 minutes to pressure up before cook time is started. Remove from oven and baste again with 1/2 cup of Kikkoman Teriyaki Ginger Sauce and place back under broiler for 4-5 minutes. This will really push those flavors into the wings and allow the outside to crispy up. Remove from oven and baste one more time with 1/2 cup Kikkoman Teriyaki Ginger Sauce. 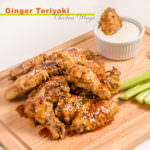 Then plate and enjoy wings either dipping in remaining sauce or Ranch Dressing. Enjoy. These look so yummy and I love ginger anything! I love anything and everything ginger…sounds delicious!! The video demonstration was so good. I didn’t know about the instant pot. Anything to make our lives easier for dinner. Hmn, looks delicious and easy! I don’t have an instant pot recipes. I am one of the few who did not get on the bandwagon. LOL! Maybe someday soon. These look incredible and I have been looking for more instant pot recipes. This is great! I don’t eat meat but I think my husband will like this! Awesome! I have never made Asian cuisine at home, but I should try this! I really need an instant pot! These so amazingly good! Yum. My instant pot and I are still getting to know one another, and I love to find new recipes. The teeny recipe book it came with sure is lacking! Yes, the book that comes with it is lacking for sure. And it can be intimidating to learn as well. I hope you keep following as we will be adding more Instant Pot Recipes! I now want an instant pot. Absolute yum!!! I will definitely be making these. Our family is big wing fans. These are wonderful! You can also switch up the sauce to your favorite flavor too! Need. An. Instant. Pot. ? I need to hurry up and get my instant pot. I need to make this recipe. Looks delicious! I’m always looking for new instant pot recipes. This looks great! This looks so delicious! I can’t get enough teriyaki! 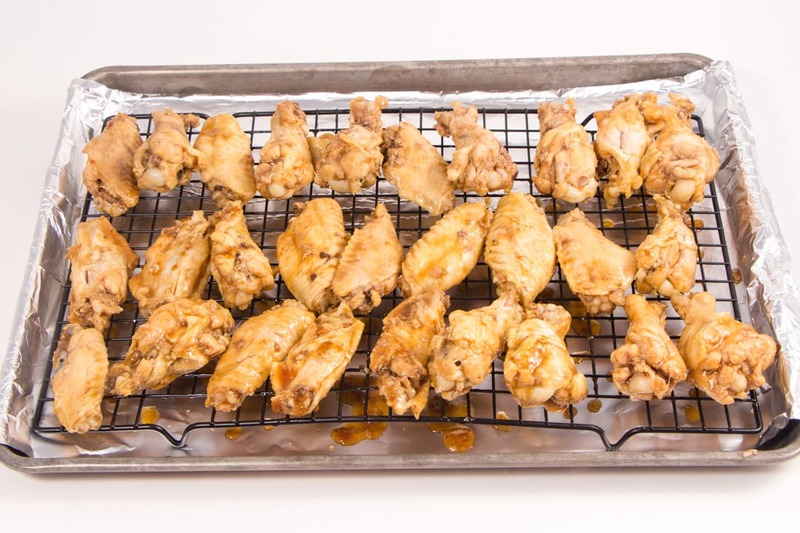 These look pretty amazing, my family loves chicken wings but I find them a pain to make. Maybe the Instant Pot will be easier. I haven’t been fond of making them in the past but I love the simplicity in the Instant Pot. 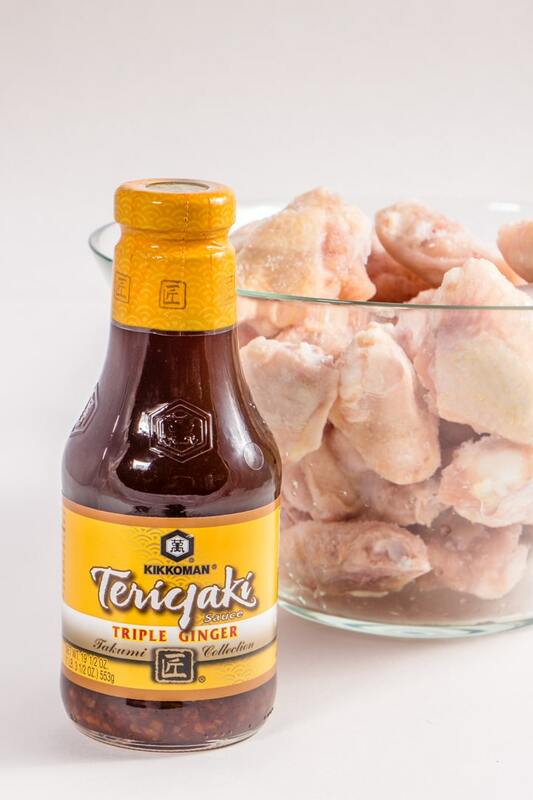 This process can be used for any marinade. Change it up and use BBQ or Honey Mustard or Spicy. Whatever your family enjoys! I just used our instant pot yesterday to make mac and cheese. I love wings and now need to make these. Completely agree about the learning curve, but you do make it look so eay. I try to be real. I want my viewers to find success. 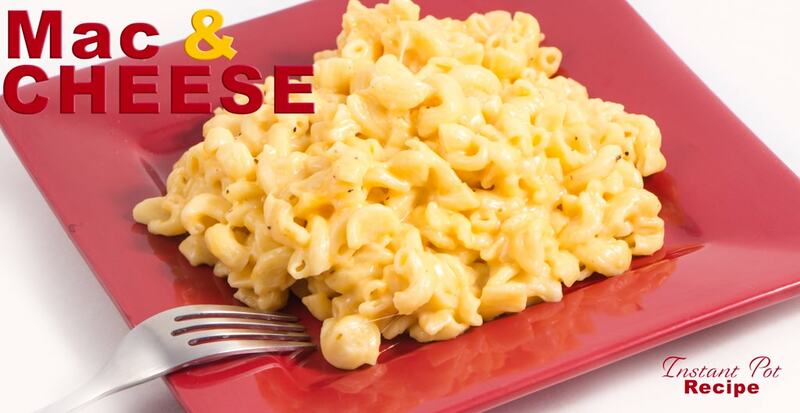 I have an instant pot mac and cheese recipe too. If you didn’t like the one you tried, give mine a try. My teenage son makes this recipe 3-4 times a week! I’m all about “simple” recipes Sarah! 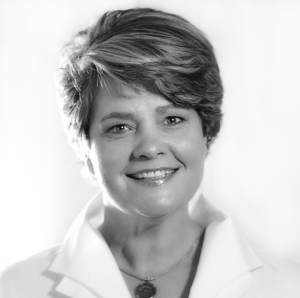 As a mom, a wife and a blogger, time is precious and I to use my time the best I can. So having meals that are packed full of flavor but don’t take time is my goal. I hope you enjoy! So I don’t have an Instant Pot yet but I hear that everyone loves theirs. I recently got a air fryer and have been learning how to use it. These wings look amazing!! I love anything with Teriyaki! Air Fryers are great too. We have one. I have yet to post a recipe for Air Fryers, but will in time! Def going to try this one with my new instant pot! Thanks. I love my Instant Pot, and finding great easy recipes is perfect for me. I hope you enjoy! You made it look simple. Going to try these this weekend. Thanks! I love simple recipes for sure. I hope you enjoy them!